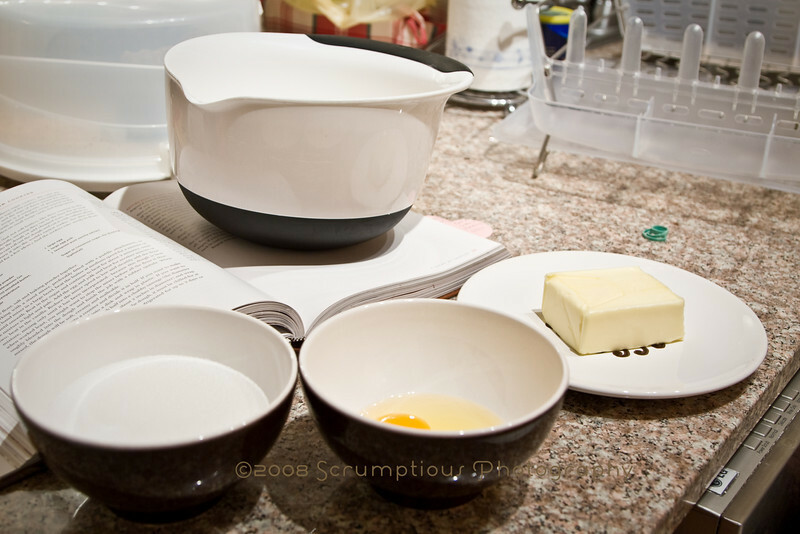 This week's TWD recipe, chosen by Ulrike of Küchenlatein, is a classic: blissfully simple and delicious. It's a really good thing I got most of these out of the apartment, because I was a fiend for both the cookies and the cookie dough! Although the recipe is very simple, I know a lot of the TWD'ers are probably going to go all-out for the holidays, so I attempted to follow suit! After it firmed up in the fridge, I rolled it out and cut it with some cute and tiny holiday cutters my sister-in-law gave me (the same one who will only eat canned cranberry sauce... ;) I think this absolves her). For decoration, I dug some red, green and silver colored sugar out of the depths of the cupboard to sprinkle on top. Kim, these are sooo delectable looking! (and btw I have that box somewhere in the attic!!) These were good, and I like them chewy also. pass me the larger cookie then. hehe. 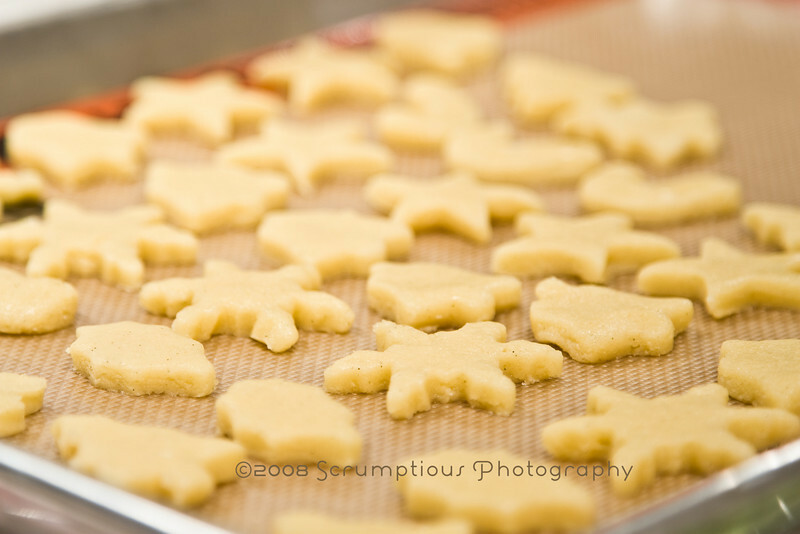 Love the xmas vibe to all your cookies! BEYOND magnificent variation of the classic sugar cookie. The cookies look delicious. Great photos as usual. Who wouldn't love to get a box of your little cookies !! WOW! You can actually eat those silver sprinkles? Hummm... they look like jewelry, much, much to nice to eat... especially on those beautiful snowflakes you've nicely sprinkled them on! Your cookies look delicious, and as usual, your presentation is gorgeous! I love the minis (and the biggies). 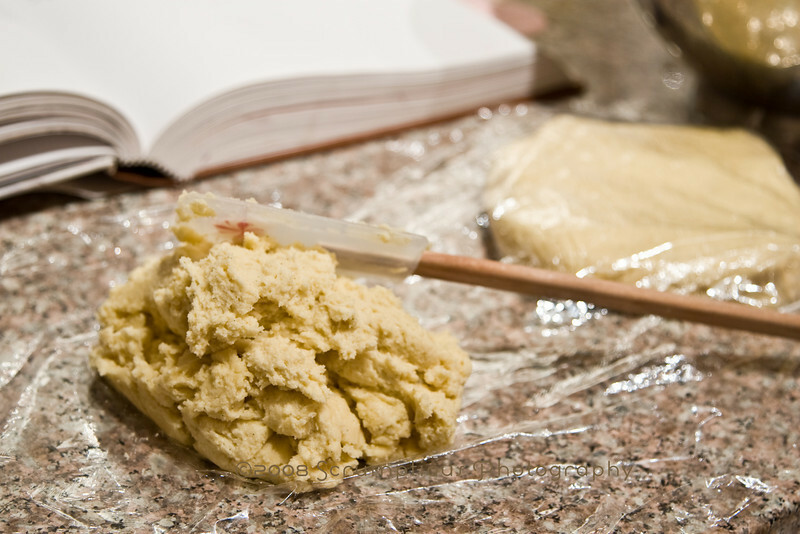 I hear ya about waiting for that dough to chill... I want instant gratification! Your cookies look perfect, and I love that box! Beautiful job on the sugar cookies! They look really great...portion control??? At Christmas...portions are free at Christmas, don'tchaknow??? LOL. Love the little packaging box...the blue really makes the cookies stand out nicely. 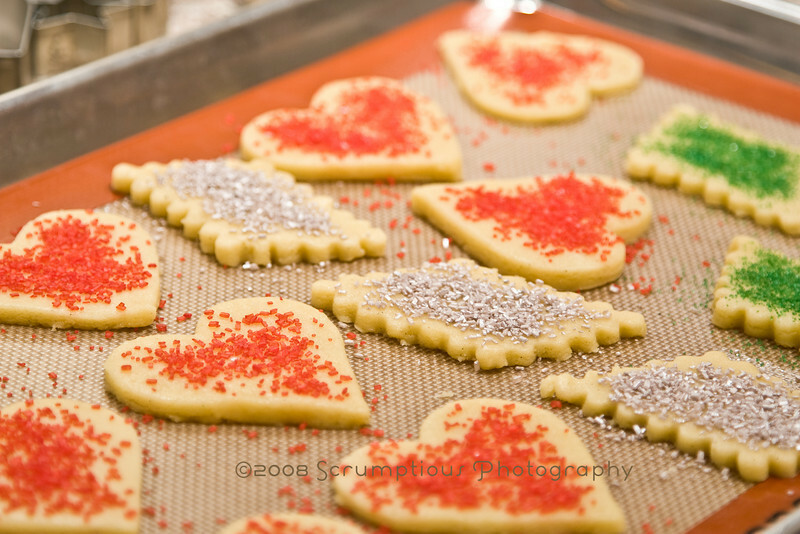 Those look gorgeous - I'll have to try some silver sprinkles next time I can find them. Minis are always a great choice. I love your silver sprinkles. Your cookies look so good and I love the box you tucked them in..Great job! I added orange zest to mine. Love your cookies AND the box they are in! Your cookies look soooo cute!! I love the coloured sugar on top of them!! The silver sprinkles made me jealous. 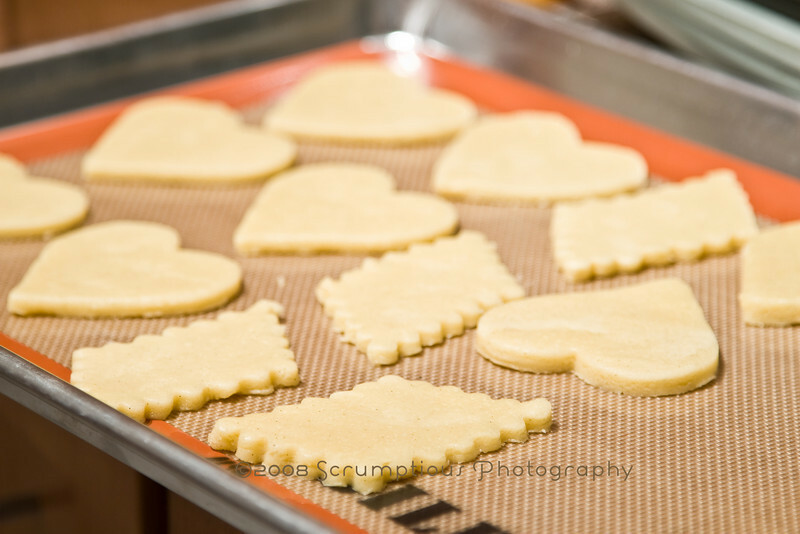 They add a special touch to your great looking cookies. Like the idea of portion control going out the window too! Your cookies look so elegant! Almost too pretty to eat!! Super cute- I love all your cut-outs! Wow, the pictures just draw me in!! I love the snowflakes! 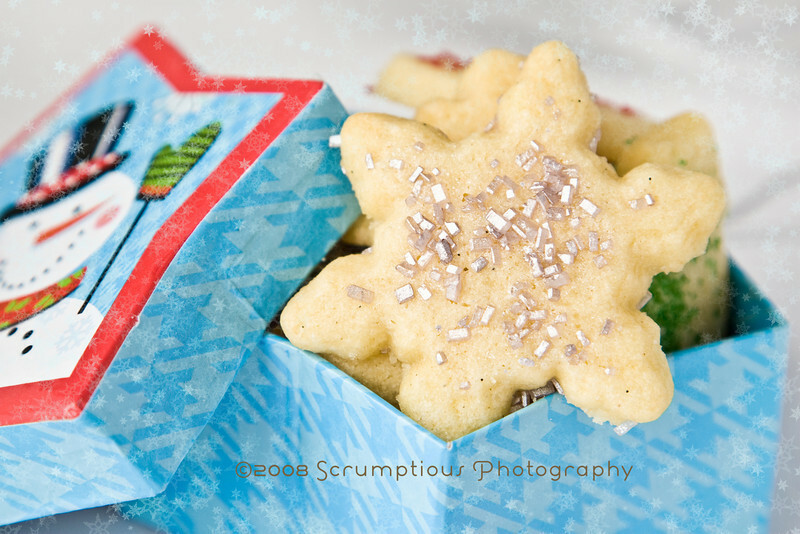 Ooo - sparkly :) And I'm amazed at your patience to do the itty bitty cookies. I stuck with bigger ones, screw portion control! Sooo pretty! I've never seen silver sprinkles before... those are cool. Lovely cookies! I love the silver sprinkles. I agree that they taste better the second or third day. Just chewy enough. I made some tiny animals from some of the dough; sort of like animal crackers, I guess. Your cookies are so pretty! I loved all the pictures. You did a really wonderful job of decorating and presenting these! 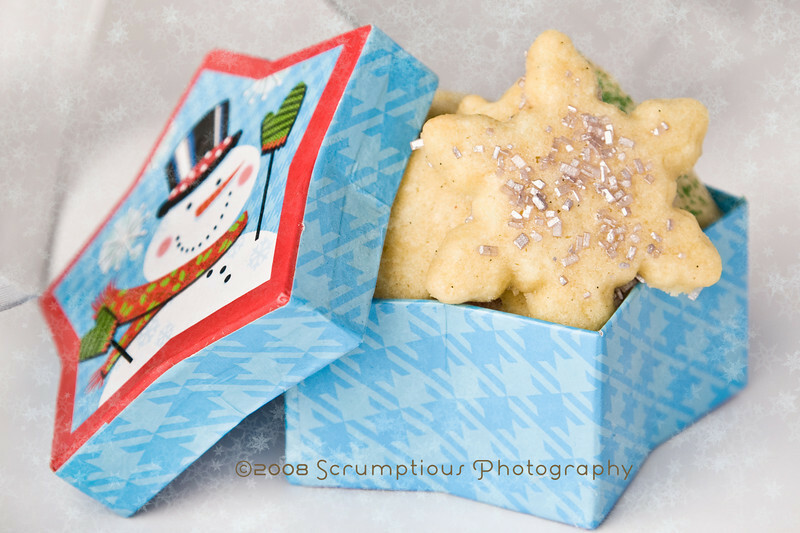 what a cute and festive box for such pretty cookies! i love your pictures. great job! Just lovely! A beautiful presentation of cookies. They look so cute! I love the sparkles on them. Great cookie cutter set, I guess she gets a pass on the canned sauce! I considered colored sugar, but actually coloring the sugar seemed like way too much work. Yours look yummy! 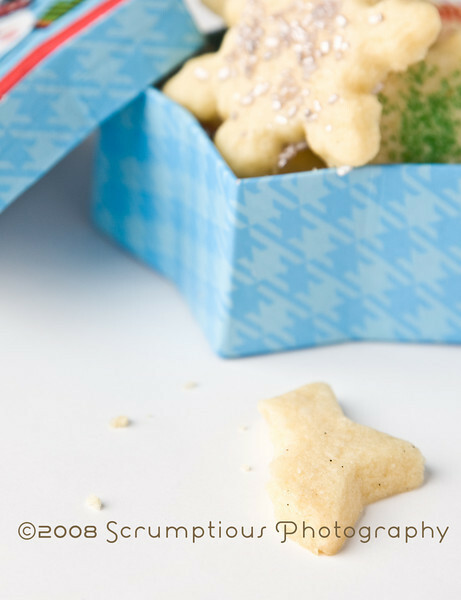 Great shapes, great sugar, great presentation, great boxes, and, as ALWAYS, gorgeous photos!!! I love seeing what you do every week! 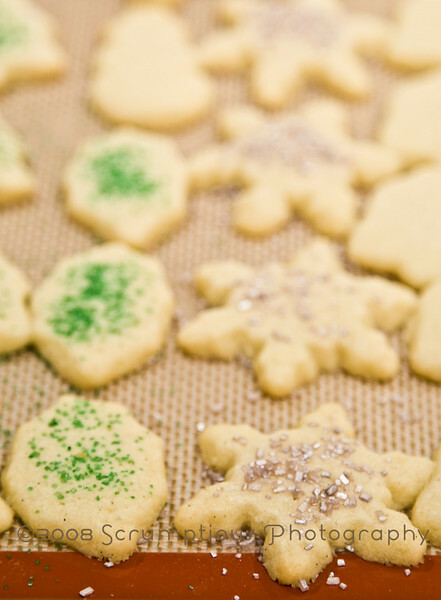 Love the sprinkles on your cookies. Mini cookies - little bites of yum. Those are all super adorable. Martha's cookie cover has nothing on you. Yum! Those look wonderful. I don't think I've ever seen silver colored sugar before. stunning, as always. it's funny b/c these didn't spread as much as i thought they would. Beautiful presentation! Photos great as always. I think we used the same mini cookie cutter set. Your cookies look phenomenal. The silver sprinkles are fantastic! I though these were dangerously good as well. I wish my cookies looked like these!